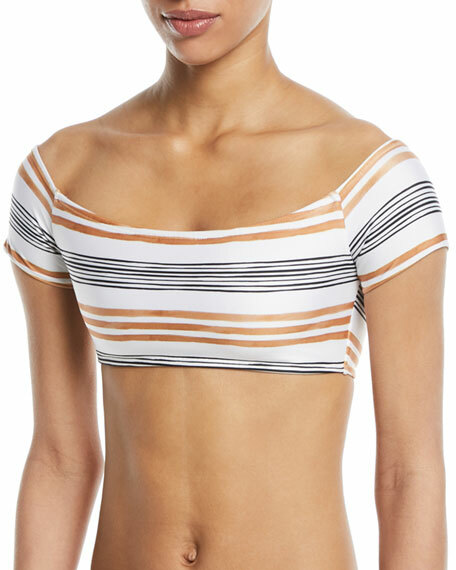 Vix "Potosi" swim top in striped microfiber. For in-store inquiries, use sku #2515490. 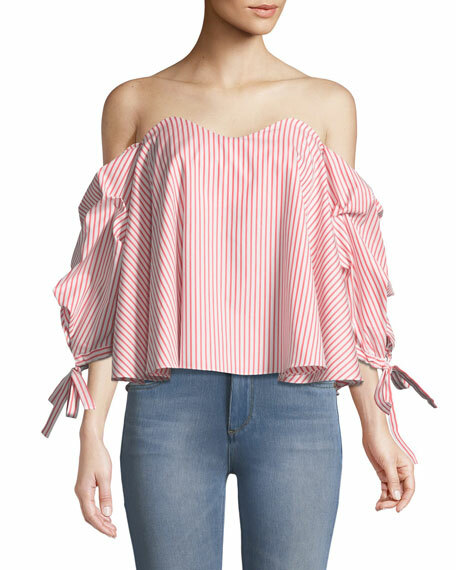 Caroline Constas "Gabriella" striped top. Off-the-shoulder sweetheart neckline. Three-quarter sleeves; self-tie cuffs. Relaxed ruffled silhouette. Asymmetric hem dips at back. Slipover style. Cotton. Made in USA. 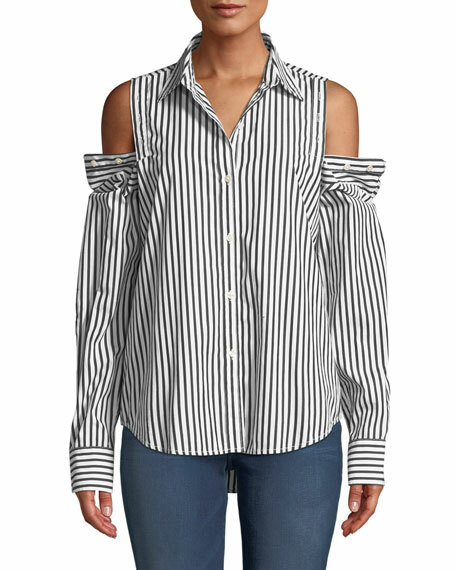 Carolina Constas "Tina" top in signature shirting fabric. 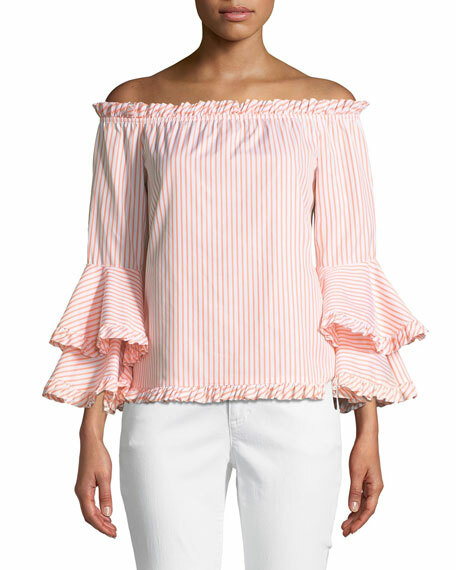 Off-the-shoulder neckline with ruffle trim. Bracelet sleeves; tiered ruffle cuffs. Relaxed silhouette. Frill hem. Pullover style. Cotton. Made in USA. Current/Elliott "The Loretta" striped shirt. Spread collar; button front. Functional button plackets at shoulders. Long sleeves; button cuffs. Relaxed fit. Yoked back; box pleat. Shirttail hem. Cotton. Imported. 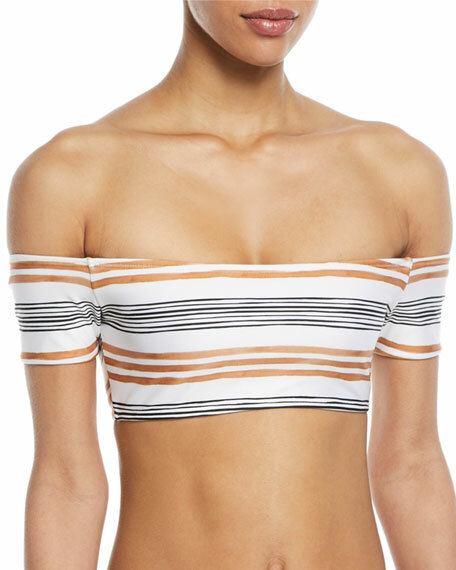 Mara Hoffman "Rio" ribbed knit swim top. V neckline; adjustable ties at front. Wide shoulder straps. Scoop back. Triangle cups. Recycled polyester/spandex. Made in USA of imported materials.